Any time is the best time to take – or send – your favorite mom to Catalina Island for a getaway. This charming seaside paradise is a perfect destination for those looking to spend some time with their favorite mom, whether it’s the one who raised you, the one who’s raising your kids with you or just a favorite mentor. Most moms won’t turn down the chance to spend quality time on a Catalina family escape, so taking mom to the island is a great option. 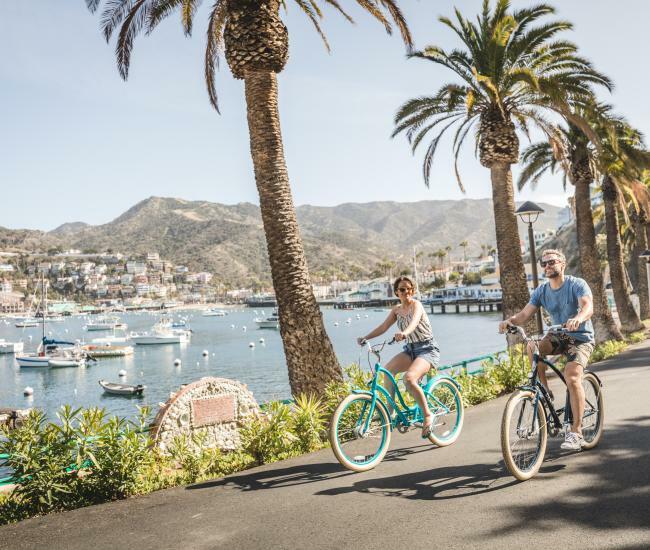 Whether for a day trip, a weekend getaway or a week-long vacation, Catalina Island offers plenty of irresistible activities that will become cherished memories. On the other hand, if you can’t join mom on Catalina Island, give her the gift of a getaway just for her. However you choose to give the gift of the island, here are few Catalina activities that moms will love not matter what they love to do. Adventurous – Catalina Island offers plenty of opportunities for pulse-pounding excitement. If your favorite mom likes her getaway with a healthy dose of adrenalin, consider the Zip Line Eco Tour, A Discover Scuba Experience and the Catalina Aerial Adventure, an obstacle course in the trees. 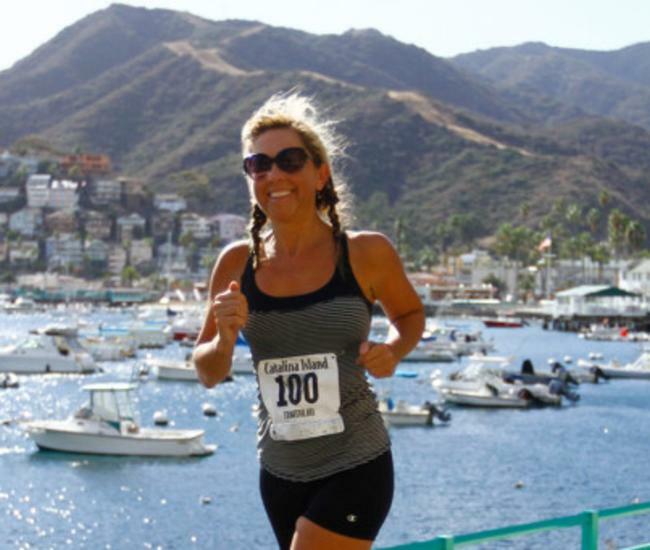 Athletic – Moms who love to stay fit will find plenty of things to do on Catalina. The Island offers a number of challenging hikes and bike rides every day of the year, as well as scheduled races and runs. Stand-up paddling is fun way to explore the island’s rugged coastline while staying fit. Outdoor – With 76 square miles of spectacular terrain and more than 50 miles of coastline, moms who enjoy the outdoors have plenty of room to explore. The Trans Catalina Trail stretches from one end of the island to the other and can be tackled over several days. Kayaking and snorkeling are great ways to experience the beaches on Catalina as well as the fascinating world beneath the surface. Cultural – Catalina history offers compelling stories of native islanders, intrepid explorers and generous visionaries along with Hollywood elites, dogged conservationists and fearless adventurers. Send mom to the Catalina Island Museum, where she’ll get to explore that history and enjoy fascinating traveling exhibits. 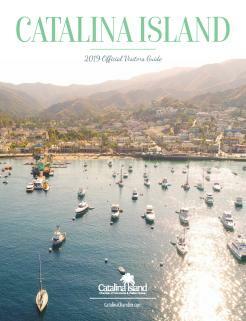 Moms can also learn more about Catalina on an Avalon Tasting & Cultural Walking Tour, which provides an overview of island history along with a visit to some of its culinary hotspots. 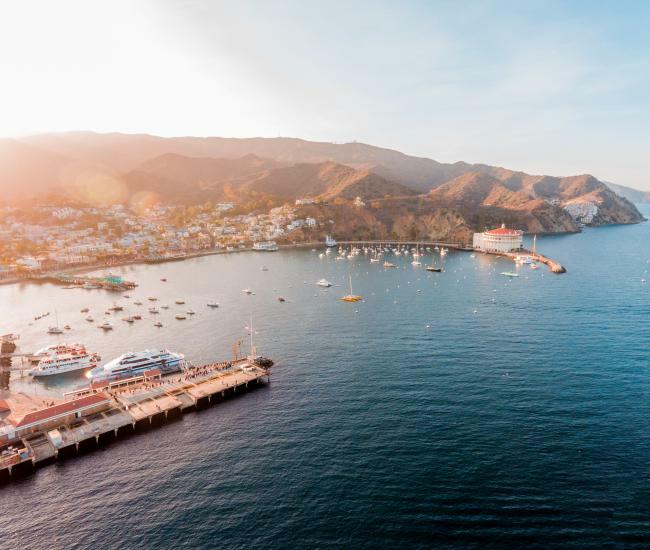 In the evening, let mom discover the magic of Catalina’s famous landmark on a Twilight at the Casino Tour, which includes enjoying the sunset with a glass of wine. Free-spirited explorer – If your mom prefers to live life on her own schedule, book a shuttle for the Airport in Sky, where she can shop, enjoy breakfast or lunch and take in the amazing views before either catching a return shuttle or hiking back to Avalon. Indulge – For those who’d really like to indulge their mom on Mother’s Day, Catalina Island is ready to oblige. Start the day off with a relaxing treatment with one of Avalon’s many massage therapists or spas. Touring the island via helicopter is a high-flying adventure that mom won’t ever forget. Complete the pampering with a decadent dinner at one of Avalon’s top restaurants. Undecided -- If you just can’t figure out what your mom would like to do on Catalina Island, don’t fret. The Catalina Island Chamber of Commerce offers gift certificates that can be redeemed at dozens of local businesses.